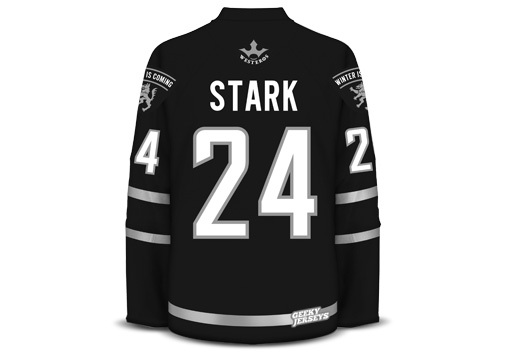 We will notify you once this item is available. 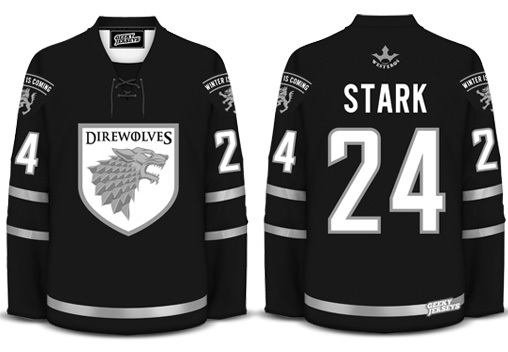 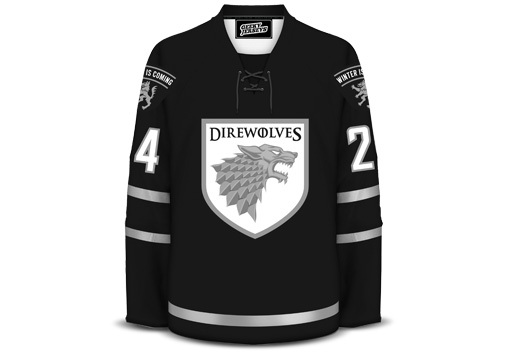 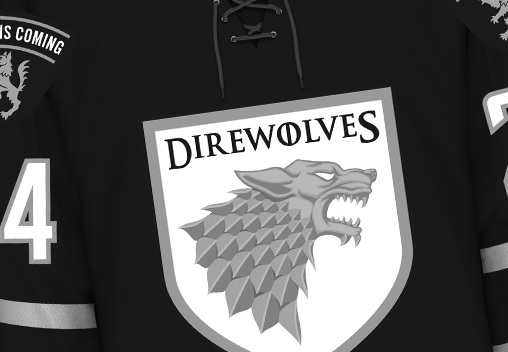 Your handmade jersey will feature silver accented embroidery and striping that you'd think was forged from Valyrian Steel, along with sewn-in stripes, a lace-up neck, and a custom cut and stitched name. 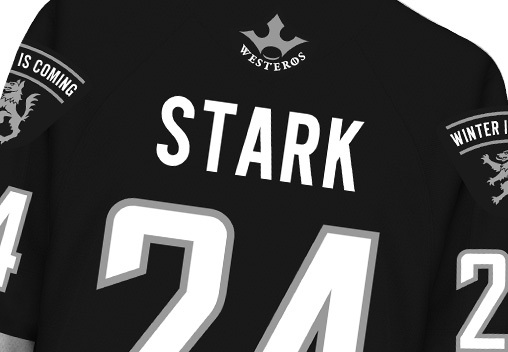 Click a size below to be notified when it's back in stock.